Step 1: Trace your container onto a sheet of magnetic paper. 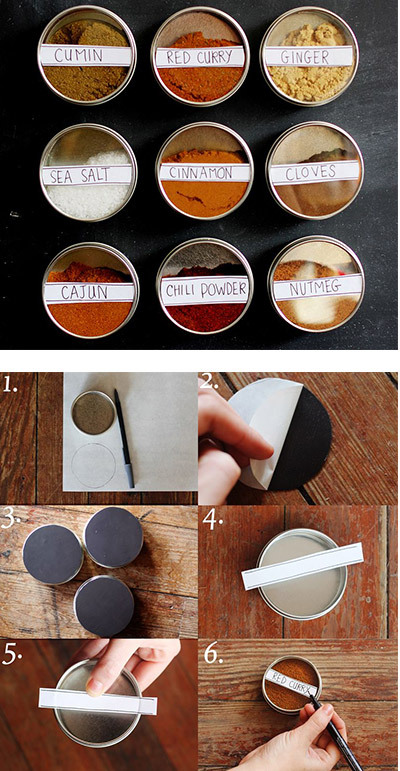 Steps 2 -3: Cut out the shapes and adhere them to the back of your spice container. Step 5: Use the container to measure how wide your strip should be. Make a crease with your finger to mark the spot and then cut it out. Step 6: Pour each spice in and label it with a large, easy to read hand written font.